This two-day seminar highlights common problems that you meet in training and working with dogs, either for competition or duty work. We discuss different causes of why training is unsuccessful, with emphasis on drive and motivation – important issues of all training. We will carefully scrutinize processes connected with drive, in the brain as well as in the endocrine hormones of the dog. This deep analysis will help teach us know how to keep the dog’s energy and working capacity on a high level. Motivation is the willingness of an individual to perform. This concept is crucial for how we succeed in training and work. If we can keep the dog’s motivation high, the training will succeed. There is a lot you can do to motivate a dog, but unfortunately some of those things will lower the motivation instead. Therefore, we have to understand how motivation works, both physiologically and psychologically. We will go through as many things as possible that would lower or raise the motivation of a dog. Unfortunately, motivation usually has a declining curve. So the result may be poor because of lack of motivation, regardless of all of our training and that the dog knows what to do. We also need to be aware of all the different things that compete for the dog’s attention. So we have to learn how to analyze what exactly is motivating the dog in a certain situation. For instance, the dog’s wish to get to know a new dog in the training area could be stronger than the will to track a person. This seminar is focused on why a dog does not do well in training and work. That is one reason why we also go through many elements that disturb learning and performance, as well as different problem behaviors, especially aggression. 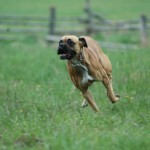 If a dog becomes aggressive, it may risk the career of a working dog or in competition. Hormone disturbances and pain are the most common causes behind problem behaviors, therefore we take some time to discuss how to analyze a dog in this respect. We also look closer at the misunderstood and misused concept of “leadership”. The seminar will to some extent penetrate some physiological and psychological depths, as for instance how the brain works in relation to drive and motivation. No special knowledge is needed in biology and psychology, everything will be easy to follow and there will be time for questions. 09.00–09.30 Common problems with work- and competing dogs. 09.30–10.00 How to predict a dog’s possibilities – About testing. 10.00–10.30 Demands on the dogs. Are the dogs, the handlers or the trainers the cause of problems? 10.30–11.00 The training – how do we improve it? Obedience training may lower the working performance! 11.00–11.30 Demands on the dog handler. Knowledge and personality is importance. It is hard to increase the drive – but easy to suppress it! 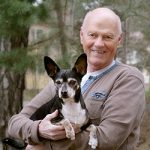 On genetics, the brain and hormones as well as factors that effect the dog’s drive and motivation. 15.00 –17.00 Motivation, need and emotion. Motivaion: Willingness and readiness to reach a goal by specific actions. Motivation is based on natural needs and works through feelings. The time of introduction before the training is very important. 09.00–10.30 To analyze motivation and factors affecting those. Learning and motivation. Learning takes place i logical brain structures. Motivation takes place in emotional brain structures. Learning and motivation have different curves! 10.30–12.00 Competing motives. Motivation and satisfaction. Reward touches two different systems. The dog can only be motivated for one behavior at a time. Satisfy all other needs before the training! Do not satisfy the working motivation! Short training passes. Train the motivation. Always stop while the motivation is high. 13.00–14.30 When it does not work. Leadership, punishment and corrections are common solutions to various problems. What does that mean? Factors that lowers the threshold for aggression.